The UAE has a lot to offer for those who appreciate the thrill of driving and racing. Here are six attractions for automotive lovers in the country. At the Yas Marina circuit in Abu Dhabi, you have the opportunity to drive a real F1 racecar. 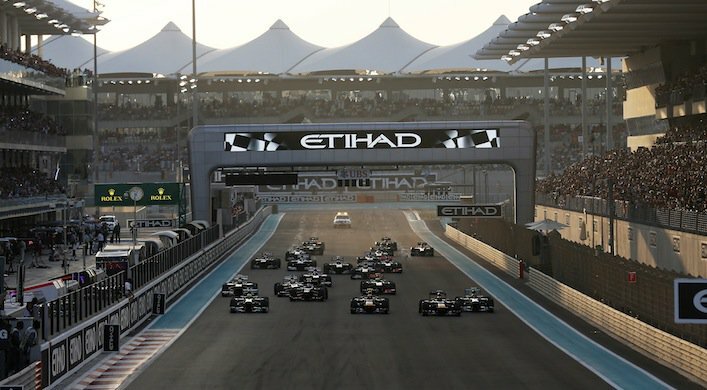 The track also host the F1 Grand Prix every year, with the race taking place on November 26 this year. In addition, the track holds minor automotive events, including the Yas racing series, Super street challenge, TRD 86 Cup and the Ferrari Asia Pacific Challenge. Prices (for driving) start from Dhs330, visit yasmarinacircuit.com for more. The indoor theme park is home to several rides and roller coasters, one of which constitutes the world’s fastest – the Formula Rossa- which accelerates at 240km/h in 4.9 seconds. 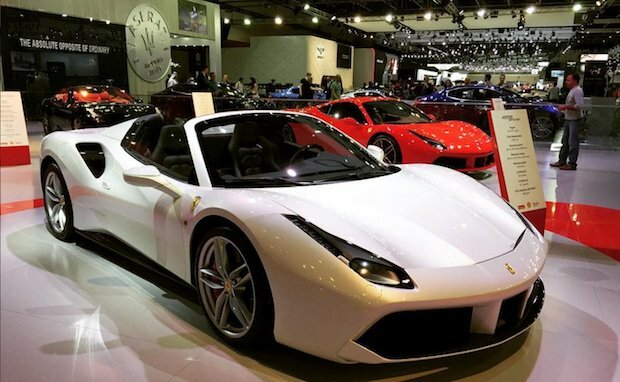 At Ferrari World, you can also drive a simulated Ferrari car on a virtual Yas Marina Circuit. The site also features an interactive gallery, showcasing a display of Ferrari cars, information about the make and design of the vehicle and much more. 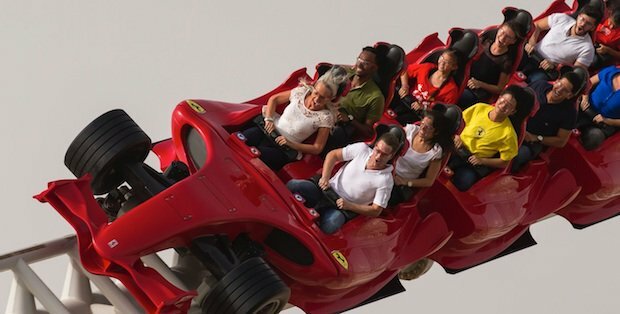 Prices start from Dhs275, visit ferrariworldabudhabi.com for more. From November 14-18, the Dubai World Trade Center will host the biennial Dubai International Motor show, which brings together automobile admirers from all over the globe. The show will include a number of displays including some of the world’s super and exotic cars, outdoor and leisure sport vehicles and various car manufacturers. Some of the exhibitors include Alfa Romeo, Aston Martin, Ferrari, Lamborghini, McLaren, Maserati and many others. Visit dubaimotorshow.com for more information. Dubai Autodrome hosts numerous racing events throughout the year including Formula 3 and Formula 4 races. At the arena, you can also learn to drive a racecar, or sign up for an indoor or outdoor kartdrome activity. On September 15, 2017, the site will also be exhibiting the region’s only motorsport expo, Emirates Motorsport Expo. The Autodrome is located in Motor City. Some events are free, driving experiences start at Dhs875. For more information, visit dubaiautodrome.com. Established in 2008, this museum exhibits over 100 classic and vintage cars manufactured in the 20th century. The oldest car showcased dates back to 1917. Apart from cars, it also displays a series of motorbikes and vintage bicycles. The museum is segmented into five sections, each helping take you on a journey of automotive history across the years. You will learn more about different types of car engines, the innovators behind the cars, and get an up-close look at makes such as Rolls Royce, Bentley and Mercedes. The museum is open Saturday to Thursday from 8am to 8pm, and Friday from 4pm to 8pm. Entry fee is Dhs10. 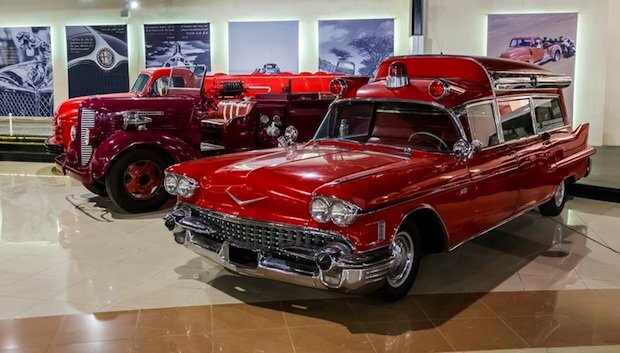 Housing over 200 cars, this museum displays the private collection of Sheikh Hamad Bin Hamdan Al Nahyan’s classic, off-road and military vehicles. 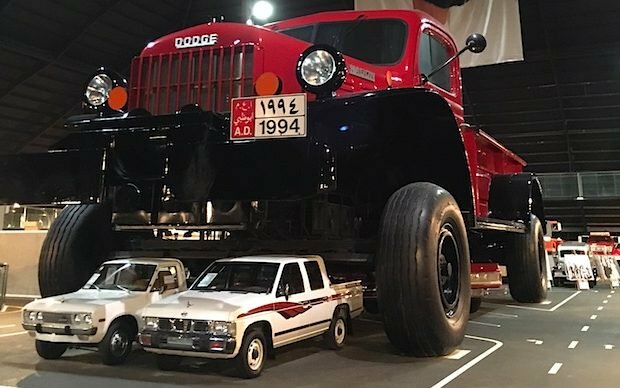 The Emirates National Auto Museum is home to the world’s largest truck, a mesmerizing collection of Mercedes cars and classic cars dating back to the 1920s and military designed motors. A part of the collection was also featured on the popular automotive show Top Gear. The museum is open daily from 6am to 9pm, entry tickets cost Dhs50. Kids under 10 can enter for free.